A BMW parked in the garage of the Sheraton Hotel in Midtown burst into flames Thursday, destroying four cars around it, fire officials said. 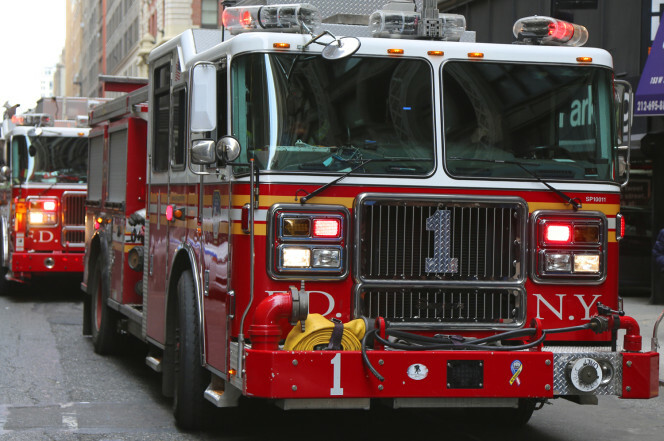 The vehicle, parked three levels below grade of the 53-story hotel on 7th Avenue and 53rd Street, went ablaze at around 12:30 p.m., sending more than 50 firefighters to the scene. Witnesses said that smoke was billowing from the hotel’s vents. Firefighters had the flames under control within 30 minutes, the FDNY said.